September | 2012 | Syed Jahanzaib Personal Blog to Share Knowledge ! Recently after firefox upgrade, my company webmail was not working in firefox. 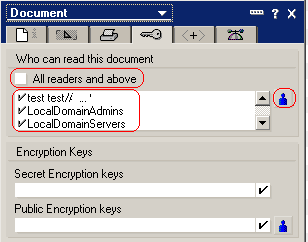 It seems that the new security features in Mozilla Firefox prevent Lotus Notes/Domino Webmail from working. Here’s how to get that functionality back. A problem has occurred which may have caused the current operation to fail. 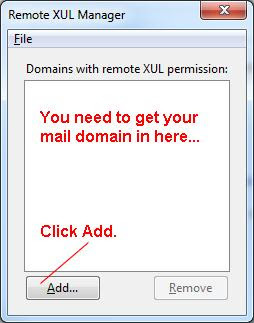 The problem seems to be that FIREFOX has security-blocked your webmail.In order to unblock it, you need the Remote XUL Manager extension. and click Add to Firefox. 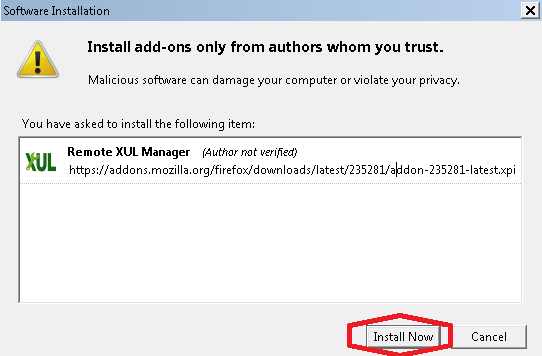 You’ll be prompted to install the extension and then you’ll be told to restart Firefox. 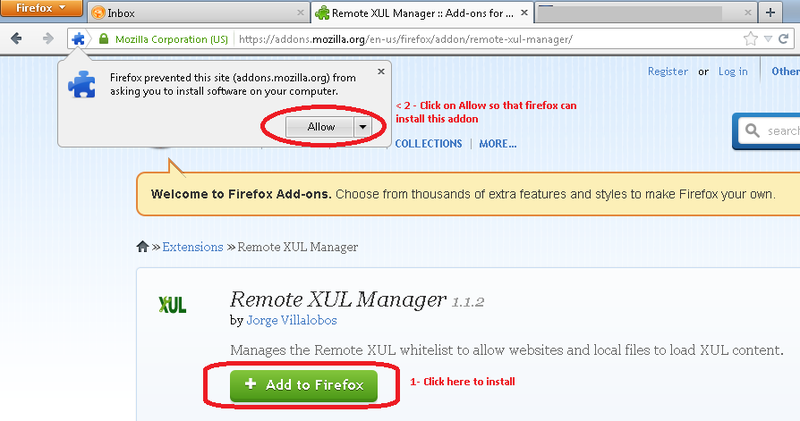 After the restarting the FIREFOX, the Remote XUL Manager will appear in the Tools / Web Developer menu. Note: To get to the menu in Firefox, press the Alt Key once. 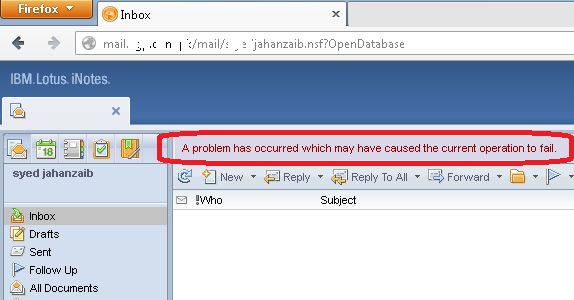 Now again open the mail , this time you will see the error again, don’t worry, its time to remove it. An empty dialog box will appear. A text input box will appear. Type your mail domain in here and click Ok. If you use several domains, you may want to add the others in now. 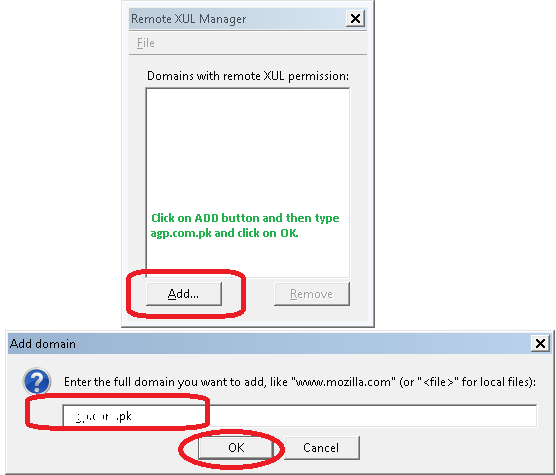 When you’ve finished adding domains, click the X on the top right of the Remote XUL Manager box to close it. Don’t worry, it’s saved. Now, you should be able to refresh the page or simply put your cursor in Firefox’s address bar and press Enter – and your mail should appear. Recently I upgraded my Active Directory environment from Windows 2003 x86 to Windows 2008 x64. This is how I migrated DHCP server. Export/Import is the way to migrate from one OS version to another. Backup/Restore is supported only across similar OS versions. For graphical step by step instructions, you can visit. 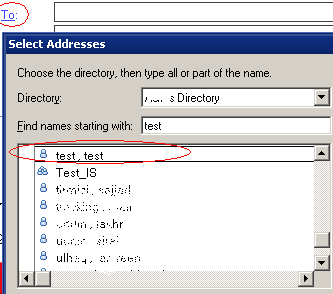 Recently one of our user requested that he don’t want his name to be appear in the ADDRESS BOOK / domino directory. Here’s a pretty slick way to do it, this is how I did it. Make sure the servers can see them (and the admins), therefore Don’t forget to add LocalDomainAdmins, LocalDomainServers in the list. Now from other user notes client, try to compose new message and search for the test test user, and it won’t appear any more n the address book. Same applies to user group. You can hide user group from being appearing in the address book by using same method explained above. We have a mail tracking account which keeps record of every outgoing/incoming mail for our organization. Dueto heavy usage its sized got increased up to 42 GB and we were running out of space in mail drive. Therefore we moved it to another drive, ran fixup But when I tried to open the mail tracking account, there was no INBOX showing, it just got disappeared from the view, Neither opening the mail file from another notes client helped, so this is something on the server. This is how I fix it. Replace the design on the infected mail database. Refresh Design either from GUI or from the console. FILE, APPLICATION , REFRESH DESIGN. Choose the appropriate mail server, click the YES button. 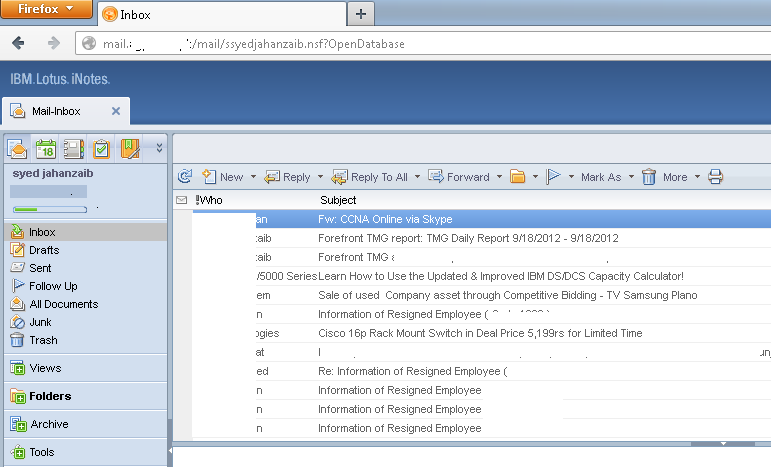 Then, close and re-open their mail file (OR restart Notes Client ). Recently one of my company employee resigned and leaved the company, so I added him in Deny Group in my Lotus Domino Server 8.5 Server. 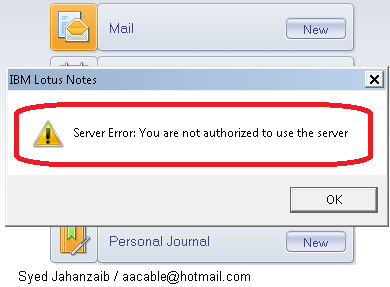 After few days he came back and rejoined, I removed him from the DENY ACCESS group, but still he was getting “You are not authorized to use the server” when trying to access his mail box using his notes client. You can read following article on howto enable ssh using vsphere client. In some situations, IPv6 can be an compatibility issue for certain applications running on Windows 2008. A quick way to completely disable IPv6 on Windows 2008 is to run the command below at cmd prompt [make sure you are loggedin as administrator] then reboot your server.